Auctiva wants to hear your opinions about selling online, so we're conducting a survey and giving you a chance to win $100. The 14-question poll will help guide plans for Auctiva.com and provide us with the insight needed to improve users' experiences. 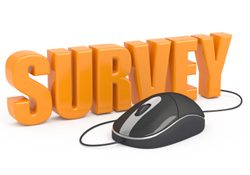 The survey is simple, asking questions like how long have you been selling, what types of products do you offer, where do you sell your products and more. Merchants who complete the poll and provide a valid email address will be entered into a random drawing for a $100 Amazon gift card. We'll select one winner on July 15, and contact that lucky person via the email address they provided in the survey. So if you haven't taken the survey, now is your chance. Good luck! I am a new seller on eBay and on Amazon. I wish Auctiva connected with Amazon too! So the item and I have listed on Amazon could be automatically posted on Ebay thru your system... Hint hint A lot to learn but you have a lot of training tools to help I love how the best thing looks so professional when done. Thanks for creating this product! New Seller on eBay and I chose AUCTIVA trial period and I'll probably take AUCTIVA regularly. I'm currently trying to learn the system, and it looks great. I think with your help will be much easier to integrate into the system. Thank you ..